The ultimate soft spot for lounging and play. 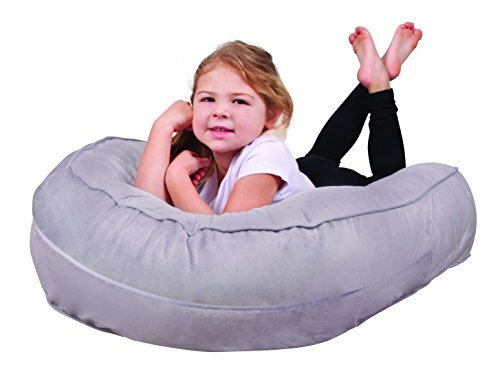 Its unique features, like the center stretch panel and adjustment tabs, enable this lounger to adjust with your child, providing versatile comfort for years of enjoyment. The Pillay Plush will be your little one's favorite spot to land. Generously sized for toddlers and older children. Center stretch panel adjusts with child's weight. Contoured sides give a warm and cozy caress for nap time. Perfect spot for playing, reading, watching TV, and napping. Zippered removable cover in luxurious plush fabric. If you have any questions about this product by Leachco, contact us by completing and submitting the form below. If you are looking for a specif part number, please include it with your message.